In addition to taking attendance you and your staff can also record student absences directly in the app or website. 2. 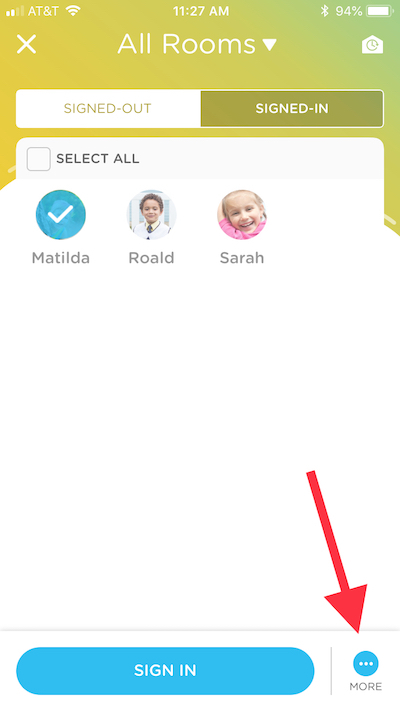 Select the absent child and click "More" at the bottom right of the app. 3. 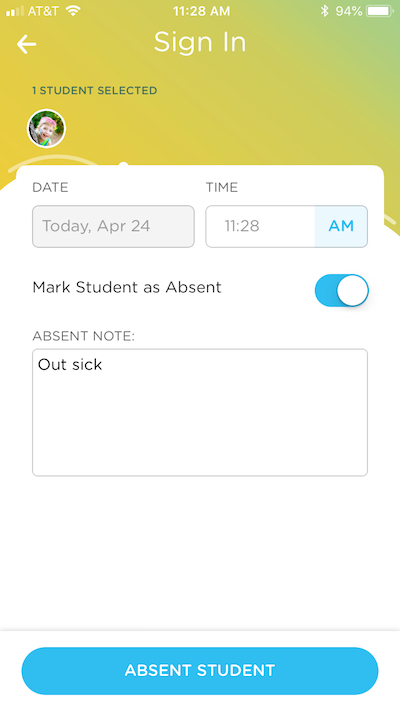 Toggle the Absent switch, capture any relevant details, and click "Absent Student." NOTE: Absent students will appear grayed out with a special indicator on the Attendance screen and the Home screen of the app. 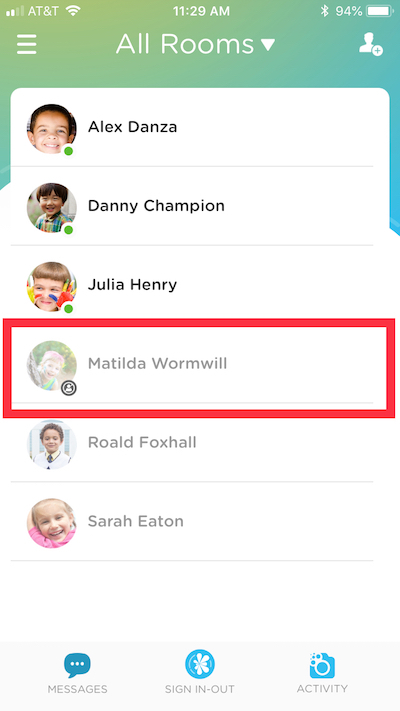 Administrators will need to approve absences from the website under Parent Connect > Daily Activities (see screenshot below). This will not send a push notification to the parents, but they will only see the absence in their activity feed after administrative approval. Under Student Sign In > Absent, click on the "Mark Absent" button. From there, select the student(s) and continue. On the next screen, you'll choose the date that you want to mark absent for and add a note. You can download an Absence Report on the website under the Reports tab. Click this reports help article for details. 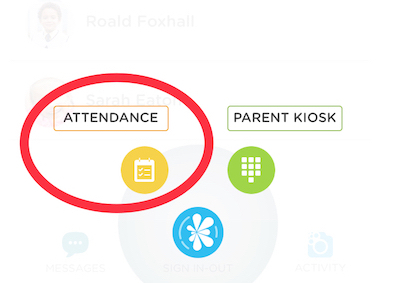 Absences can also be viewed from the Sign In-Out --> Student Attendance screen. There, you can filter by Absent students. Click on the ellipsis (...) in order to edit or delete any entries.